GIGABYTE announced today their version of the new mainstream GPU from NVIDIA based on the Maxwell GM206 chip, the Gigabyte GTX 960 G1 Gaming graphics card (GV-N960G1 GAMING-2GD). 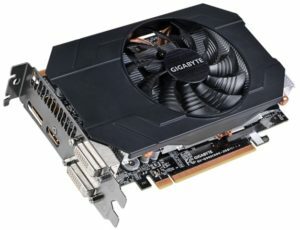 The GTX 960 G1 Gaming is the leader of the Gigabyte GTX 960 lineup, followed by the GTX 960 Windforce 2X edition (GV-N960WF2OC-2GD) and the GTX 960 Mini Gaming (GV-N960IXOC-2GD). The GTX 960 G1 Gaming features a factory overclock core speed of 1241MHz with a boost clock of 1304MHz. It also features the same design and look like its bigger brothers GTX 980 and 970 G1 Gaming. Check out the rest of its features, specifications, price and availability from the release below. The GTX 960 G1 Gaming also adds the new silent semi-passive fan profile to the system, as the fans remain off when the GPU is under a set loading or temperature for low power gaming. Gamers could enjoy an absolutely silent gaming experience when playing light MOBA (multiplayer online battle arena) games like League of Legends® . 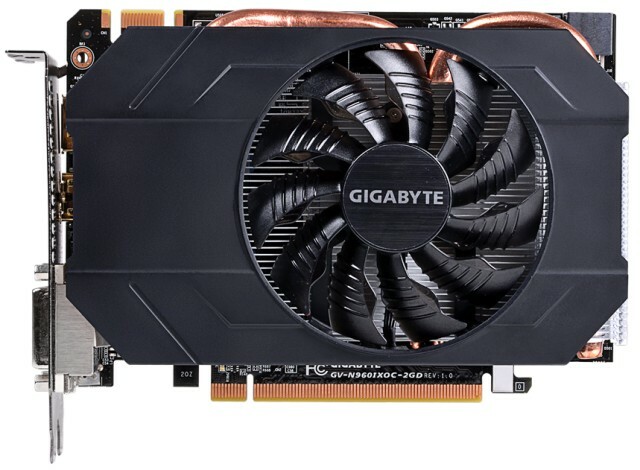 With the introduction of the GTX 960 G1 Gaming, GIGABYTE at the same time releases the OC Edition GV-N960WF2OC-2GD and GV-N960IXOC-2GD. Each card is equipped with respective GIGABYTE technologies and innovations for all various gaming needs. The GV-N960WF2OC-2GD is reinforced with WINDFORCE 2X cooling system with two 90mm unique blade fans to keep the graphics card extremely cool and quiet at peak performance. The card also features the new semi-passive fan design for creating a complete silent gaming environment. 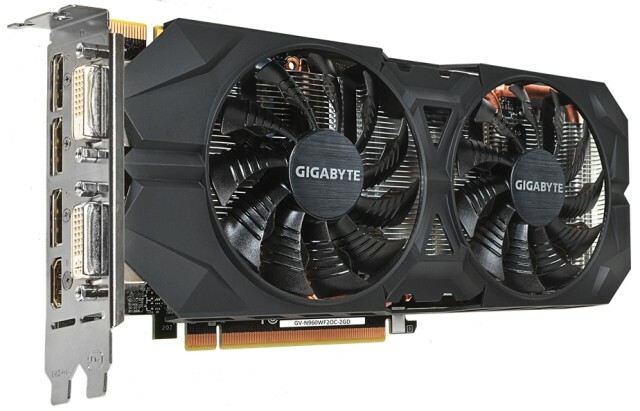 Measuring 17cm in length, the compactly powerful GV-N960IXOC-2GD is the value variant of the GTX 960 ideal for applications based on budget builds. Having three models available on the launch date, GIGABYTE offers the most complete GTX 960 graphics solutions for meeting the diverse gaming demands and requirements in this segment. By using GIGABYTE exclusive OC GURU II, GTX 960 OC Edition Series Graphics Cards can be monitored and tuned in real-time. Users can easily modify all critical settings such as GPU clock, memory clock, fan speed, and power target according to own preference. With the intuitive and easy-to-control user interface, OC GURU II unleashes the overclocking potential for enthusiasts. The reference NVIDIA GeForce GTX 960 comes with a manufacturer’s suggested retail price of $199. 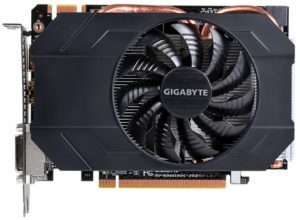 The non-reference Gigabyte GTX 960 G1 Gaming, however, is just priced a little bit higher than $200 USD. 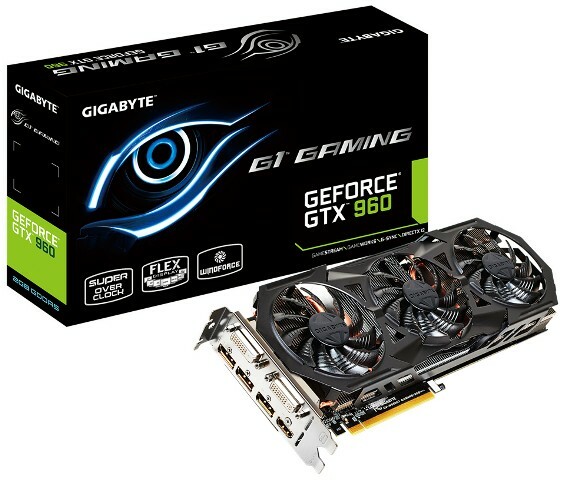 The GTX 960 G1 Gaming is available for $239.99 here and the GTX 960 Mini-ITX for $209.99 here.